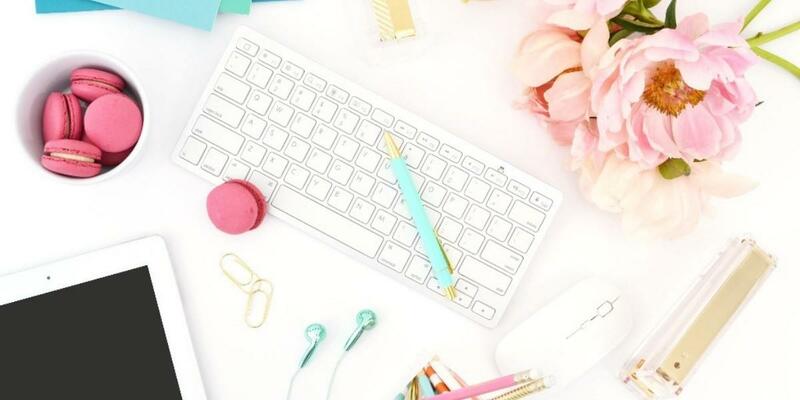 5 Tips for Making Your Social Media Images POP! Design. Copy. Calls to Action. Photos. There's a lot that goes into creating an image or graphic on Social Media and these are just a few of them! 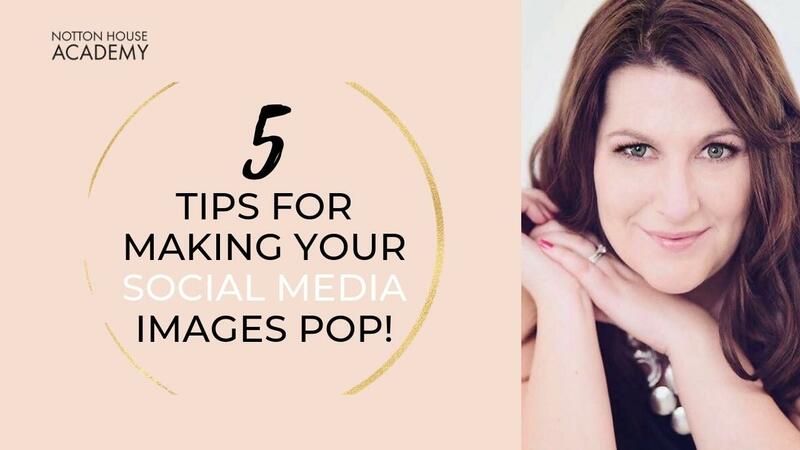 In this post, I want to share with you 5 Tips for Making Your Social Media Images POP! 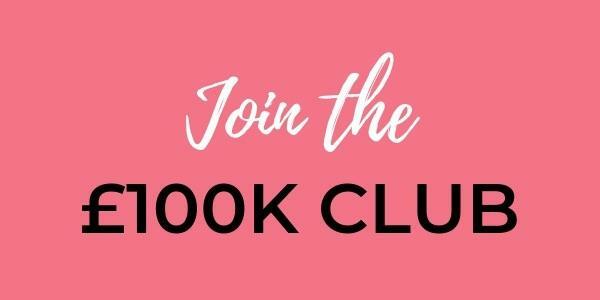 Making an image in Canva for social media is pretty easy once you understand the layout and tools. Most people start off with a free Canva layout, change the text and maybe the background colour and you're done! The trickier part comes when you want to design a graphic from scratch. You need to have some understanding of colour theory, typography, what goes together (& what doesn't), and basic design skills. Luckily, I'm going to walk you through some of that now while we create a design for Facebook in Canva! 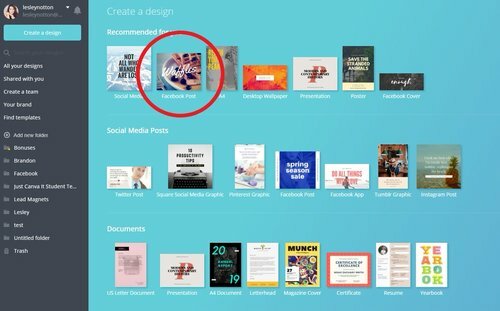 Below is a step by step tutorial on how to make a simple, bright and fun graphic for social media in Canva which is perfect for Canva newbies. 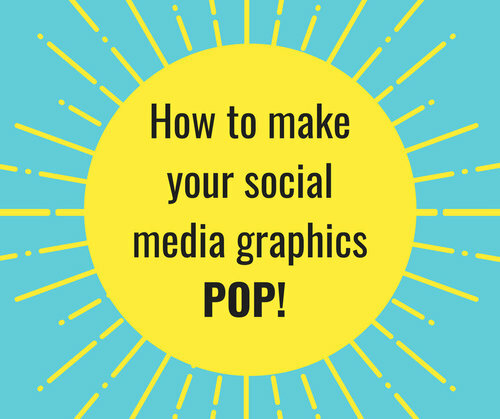 If you'd like to just read 5 tips to making social media graphics pop (rather than the tutorial) click here! Select the template size you'd like to use. For this tutorial, we're going to use the 'Facebook Post' which is sized at 940px x 788px. Now you have your blank template, it's time to start creating a social media design that draws attention to it! One way to do this is by using 'elements' and layering shapes and text on top of each other. Add a background colour by clicking on BACKGROUND and choosing your one of your Brand Colours from the menu that appears on the left hand side. PRO TIP: You can use any colour you like, but remember that by using your brand colours in your social media graphics, you are creating an authentic and consistent brand that people will recognise easily. Next, add a shape element to your design by going to ELEMENTS -> SHAPES and picking the one you'd like! I've chosen a circle! Note: If your shape suddenly vanishes, it could be because you have your background colour the same colour as your shape. 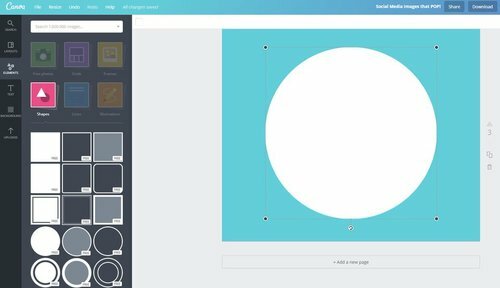 With a Canva for Work account, once you set up your Brand Kit, elements automatically insert in the first colour in your colour palette. If this happens, simply highlight your shape and change the colour! To make your social media image really POP, you need to use bright colours that contrast well with one another. Picking a colour on the opposite side of the colour wheel is a simple and easy way to do this! Using a strong colour rather than a pastel shade will also draw the eye to your graphic and set it apart from everything else! Play around with the colour of your shape until you are happy with the contrasting colours. Add another element to draw the viewer's eye right into your graphic. In this image, I have inserted my element and enlarged it to fit the circle. Then, I simply put it behind the circle (click ARRANGE -> BACK) and copied it to create another one exactly the same. I then used the angle icon to spin the element round 180 degrees and moved it to the bottom half of the circle. I also changed the colour to match the circle. Add your text in a strong bold font and use a colour that stands out against your design. 2. Ensure your design is simple and clear. A cluttered image will get missed amongst all the other information on social media, so keep it clean! 3. If you are using a photo in your design, try increasing the saturation (whilst still ensuring it looks realistic! ), the contrast and the brightness. Head to FILTER -> ADVANCED OPTIONS to do this.